Local schools are continually making a difference in children's lives academically and emotionally. 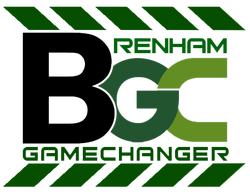 Brenham Game Changers supports the efforts of making a difference in teachers and students’ lives with professional training, character building clubs and endless opportunities to serve fellow classmates and the ​community at large. 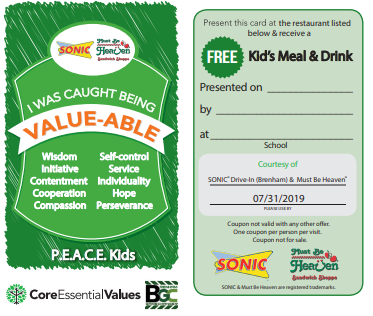 Core Essentials Value-able cards for free kid's meal at Must Be Heaven and Sonic. Each elementary school campus has value-able cards to award students each month who live as examples of the core values they have learned. 2018-19 Value-able cards are valid through July 31, 2019.